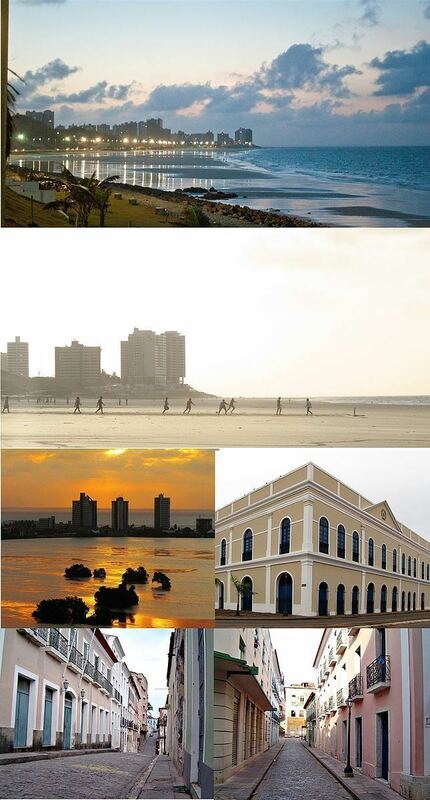 São Luís ([sɐ̃w luˈis], Saint Louis) is the capital and largest city of the Brazilian state of Maranhão. The city is located on Ilha de São Luís (Saint Louis' Island) in the Baía de São Marcos (Saint Mark's Bay), an extension of the Atlantic Ocean which forms the estuary of Pindaré, Mearim, Itapecuru and other rivers. Its coordinates are 2.53° south, 44.30° west. The city proper has a population of some 986,826 people (2008 IBGE estimate). The metropolitan area totals 1,227,659, ranked as the 16th largest in Brazil. São Luís, created originally as Saint-Louis, is the only Brazilian state capital founded by France (see France Équinoxiale) and it is one of the three Brazilian state capitals located on islands (the others are Vitória and Florianópolis). São Luís was the home town of famous Brazilian samba singer Alcione, Brazilian writers Aluísio Azevedo, Ferreira Gullar and Josué Montello, Belgian-naturalised soccer player Luís Oliveira, and the musician João do Vale and Zeca Baleiro, a Música popular brasileira (MPB) singer. Originally the town was a large village of the Tupinambá tribe. The first Europeans to see it were the French, in 1612, who intended to make it the center of a colony named Equinoctial France. They built a fort named Saint-Louis de Maragnan after King Louis XIII and his Saintly ancestor Louis IX. The settlement was conquered for Portugal by Jerônimo de Albuquerque in 1615, when it was renamed São Luís. There had been little time for the French to build a city, a fact which has led to some controversy as to the actual date of the founding of the city, whether by the French or the Portuguese. In 1641, the city was invaded by the Dutch, who left in 1645. In 1677, the city was made the seat of the new Roman Catholic Diocese of São Luís do Maranhão. 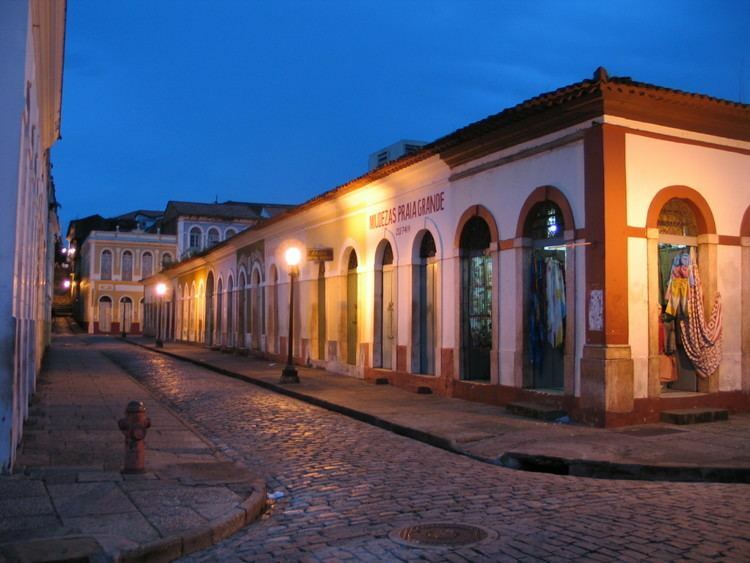 Nowadays, São Luís has the largest and best preserved heritage of colonial Portuguese architecture of all Latin America. The island is known as the "Island of Love" and as "the Brazilian Athens", due to its many poets and writers, such as Sotero dos Reis, Aluísio Azevedo, Graça Aranha, Gonçalves Dias (the most famous), Josué Montello, Ferreira Gullar, among others. Maranhão's economy was one of the most prosperous in the country until the mid-nineteenth century. However, after the Civil War the United States of America, when it lost space in the export of cotton, the state collapsed. Only after the end of the 1960s did the state begin to receive incentives and emerge from seclusion, by way of road and rail connections with other regions. In the late eighteenth century, increased international demand for cotton to meet the English textile industry coupled with reduced production because of the North American War of Independence in the United States provided the perfect setting to stimulate cotton production in Maranhão. Shipping companies and Southampton & Company Maranha Maranha Shipping Company, shipping steam, which performed the transportation of cotton from the states of Georgia and Alabama, began operating in St. Louis shaft - London, leading to production of Caxias and Baixada Maranhão. By the early twentieth century, St. Louis still exporting cotton to England by sea, through the lines and Booth Red Cross Line Line (the extended route to Iquitos) and company-Maranha Liverpool Shipping Company. 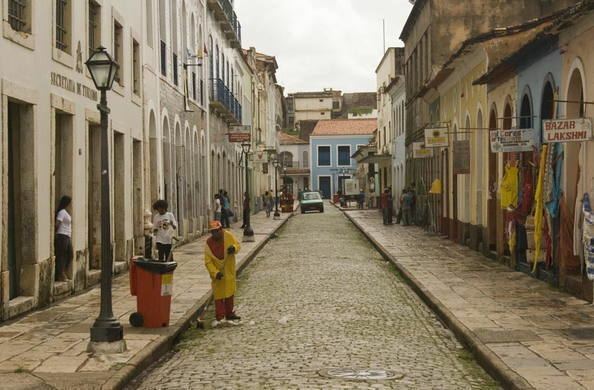 During this period, the golden phase of the economy of Maranhão, São Luís has a living cultural effervescence. The city, which related more to the European capitals that the other Brazilian cities, was the first company to receive an Italian opera. Had as few sidewalks and lighting in the country. Received weekly the latest news from French literature. The great fortunes cotton and local business sent their children to study in Recife, Salvador, Rio de Janeiro and, especially, Europe. The opening of the Port of Itaqui in St. Louis, currently second in depth in the world, second only to the Rotterdam, the Netherlands, and one of the busiest in the country, served to drain the industrial production and iron ore coming from Train Serra dos Carajás, activity operated by Companhia Vale do Rio Doce. The proximity to strategic markets in Europe and North America has led the Port an attractive option to export, but suffers from increased coastal shipping. Ludovicense economy is based on the aluminum processing industry, food, tourism and services. St. Louis has the largest GDP in the state, hosting two public universities (and UFMA UEMA) and various educational institutions and private colleges. According to the latest data from the IBGE survey of the city of St. Louis has a GDP of R $9,340,944,000.00 to 29 and thus the national economy from over 5,560 Brazilian municipalities, and occupying the 14th position among the capitals. Afro-Brazilian dance in which gaily clad women court a bateria of tambors (a row of drums). Whirling and gyrating in time to the music they negotiate for prime position in the centre of the bateria. Not to be confused with the above, this is the local variant of the Afro-Brazilian religion Candomblé. Football is the most popular sport in São Luís, though its clubs aren't much well known in the rest of Brazil. The professional clubs in São Luís are: Sampaio Corrêa who currently play in Brazil's second division, Moto Club who play in the fourth division and Maranhão Atlético Clube who take part in the regional Campeonato Maranhense. Steve Kearns (born 1959), Canadian football player.